you for the great pain, the many stripes, and the bloody wounds inflicted on your tender and noble body. From the soles of your feet to the crown of your head there was no area without its injury or lesion- either swellings or smarting wounds- with warm red blood flowing over your body. “I praise and glorify you with the greatest reverence of which I am capable and with full interior humility, for the abundant shedding of your precious blood from your five sacred wounds as well as the other wounds, both great and small. In bleeding they give forth the most effective medicine for our sins, more precious than balm. 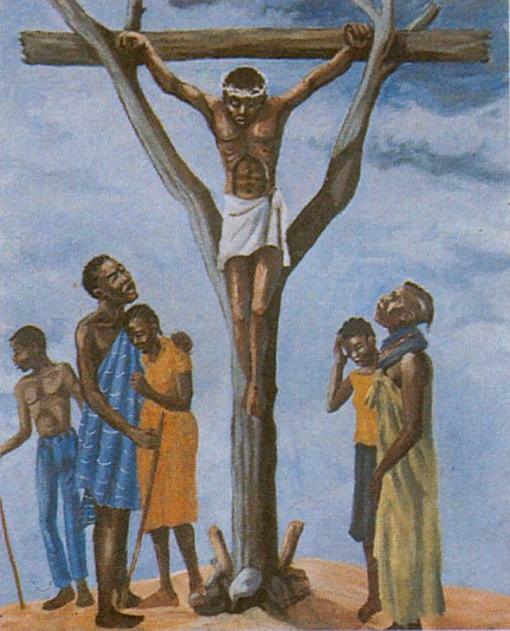 “Most gentle Jesus, you were so mistreated and manhandled by cruel men that you had no bodily strength left in you. Your veins were opened wide- not even the last drop of blood remained in you, and whatever of that sacred fluid has been in you in life has now in death been poured out for soul’s benefit as the price of our salvation. “O five precious wounds, supreme signs of incomparable love, abounding with divine sweetness, it is from you that the sinner learns abiding trust- otherwise his guilty conscience would cause him to despair. In these wounds we find the medicine for life, abundant grace, full forgiveness, unstinting mercy, and the gateway to promised glory. Whatever defilement I incur or whatever sins of the flesh I commit, it is in these five fountains that I wash myself clean, am purified, and again made new. “I praise and honor you, christ, only beloved Spouse of the Holy Church, for your uncommon charity, by which you chose, through this covenant in your blood, to redeem my soul from the effects of Adam’s transgression, to cleanse it of all sin, to enrich and adorn it with the merits of your holiness. Sanctified by your grace, may I be found worthy of being united to you and later of being blessed in your glorious kingdom of light.